As far as stouts go, I think my favorite varieties are milk and breakfast stouts. Milk sugar is actually added to the fermenter. Since yeast cannot consume lactose - you might say yeast is lactose intolerant - the brew is sweeter than average and has an especially the creamy mouthfeel. This combined with the flavors of coffee, chocolate, and/or other flavors that mellow out some of the roastiness and bitterness typical of the stout style. It's this very richness and abundance of flavor that make them very enjoyable to imbibe. At least to me. My favorite milk stout of all time is Mother's Milk brewed by Keegan Ales followed very closely by Founders Breakfast Stout. 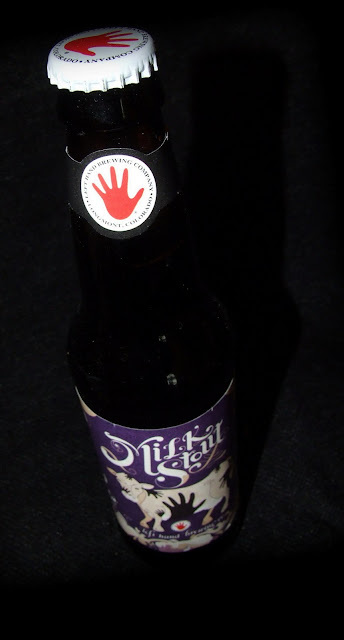 Another milk stout I'd been meaning to try is Milk Stout by Left Hand Brewing. Imagine my delight when I received a bottle as a gift. Free beer is the best kind of beer! 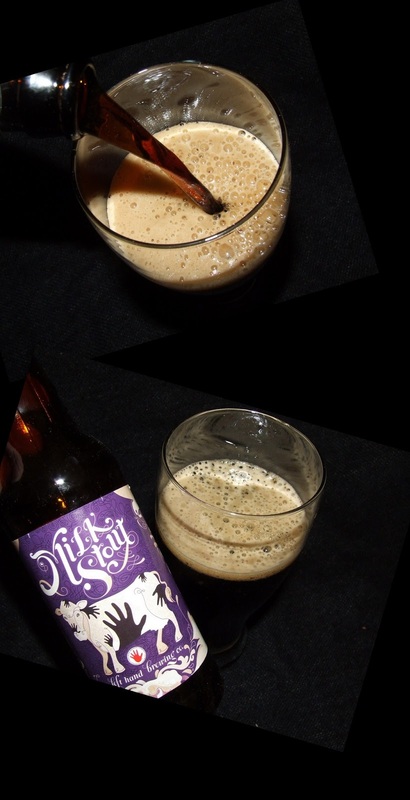 Milk Stout (6% ABV) pour a deep reddish brown with a dense mocha colored head. The aroma is like a wonderful rich cup of coffee with fresh cream. Dreamy and drool-worthy. The taste is roasted coffee, dark chocolate and creamy milk overlaying a rich malty backbone. The finish is bitter chocolate and roasted malt and somewhat dry. The mouthfeel is thick and creamy. Milk Stout is smooth to drink but somewhat heavy. This is a good example of the style. Rich and tasty.